Next group training begins Jan. 28, 2013. Meets Mondays from 11 a.m. to 1 p.m. Eastern time. proven practice-building strategies to attract your “choice” client for your careers industry practice… for career center professionals, techniques to help your clients understand the value of the services you offer so that they will “buy-in” with greater commitment and involvement. ICF Accreditation: The 30-hour CCMC program is accredited by the International Coach Federation (ICF) as an Approved Coach-Specific Training Hours (ACSTH) program, Cluster Or Individual Training. 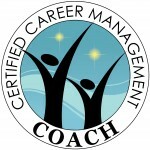 Career Coach Academy offers an innovative learning model that provides you with a unique opportunity to receive semi-individualized coaching and training tailored to your particular needs and interests. Choose between 1) individual training or 2) a small cluster of up to 12 peer students led by Kim Avery (cluster format also requires 5 hours of individual mentor coaching). Either way, we can GUARANTEE that if you do the work you will come away with the know-how to qualify for the certification of Certified Career Management Coach. Cluster format (up to 10 classmates): Early-Bird Discount: Investment is $2,597 with payment at least three weeks in advance plus mentor coaching. To take advantage of the early-bird discount, email lyndsey@theacademies.com for an early-bird coupon code to save $300. If registering less than three weeks in advance, investment is $2,897. Alternate monthly installment options include 4 monthly payments of $749 (first installment due at least three weeks in advance of course start date) – email lyndsey@theacademies.com for an early-bird coupon code to save $300 off your first payment. For monthly installments when registering less than three weeks in advance of start date, call for details. Individual format (one-on-one): Investment is $5,895 with payment three weeks in advance. Alternate monthly installment options include 4 monthly payments of $1479. Numerous coaches reported that they paid for the program before it was over because of their ability to market and offer valuable career coaching services. Materials fee: Also required for the course is the text: “Co-Active Coaching” [third edition] ($39.95) available through amazon.com and retail booksellers.